A labyrinth can be accessed by and is beneficial for all ages and stages in life. Given the history of labyrinths (over 3,000 years old) this is an excellent teaching tool for students. The site will also offer a pause in the day for those who are employed; as well as those who simply wish a time for reflection.? 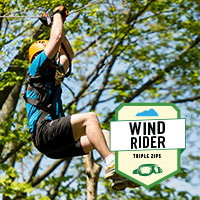 The Eco Adventure tour at Scenic Caves: Treetop Walking and Zip Cable Gliding. High in the treetop canopy, 40 feet above the ground we’ve created a web of platform decks spun together by cables and air borne walkways, a mere 10 inches wide. Leave the forest canopy by zipping down on a cable. Learn about the flora, fauna and the area ecosystems in intimate groups. A 3-hour guided trek, by Reservation only. Treetop Walking: Adults $95. Seniors and Youth $85. Chose from numerous challenging climbs and scenery from the popular Metcalfe Rock to the Pinnacle Rock to Old Baldy. All certain to provide challenge and adventure. Only the experienced climber should partake and tours are recommended and personalized instruction on rock climbing. Metcalfe is one of Ontario's oldest and traditional with easy access from the Bruce Trail and great top roping with Pinnacle directly across. Old Baldy offers amazing limestone climbing. Free Spirit Tours offers rock climbing, hiking, canoeing, kayaking, sea-kayaking, caving snowshoeing and historical tours! 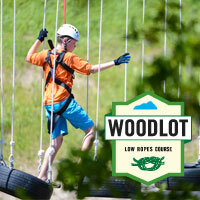 Climb as high as you like with low ropes. Ropes, logs and beams. Cables and cargo nets. Connect the dots as you see fit. Work your way up to the custom course that challenges you to reach new heights. Young climbers will gain greater confidence with problem solving while finding creative solutions to unique challenges. No bags, no reservations, no turbulence. Embark on an aerial adventure as you pilot from platform to platform at a cruising altitude of 50 feet. Zip lining will give you an extraordinary perspective on the outdoors as you experience the freedom of flight. Come alone for a private adrenaline rush or bring co-pilots for a memorable ride along parallel Zip lines. 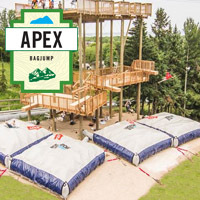 Take a leap of faith on the Apex Bagjump. Work your way up to the maximum height of 6.5 metres (21FT) and prepare for a free fall onto the airbag waiting below. Satisfy your inner thrill seeker with the ultimate adrenaline rush! One qualifying jump plus two additional jumps. Bring tried and true (and some new) techinques. Climb ladders, cross bridges and cruise zip lines. 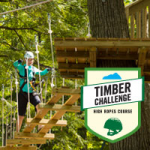 Increase your comfort zone and find creative ways to navigate the exciting elements in store for you on this challenging Ontario ropes course. Individuals and teams will test their inner and outer strength as they overcome new challenges on their own and with a little help from friends. Enjoy Trail and Pony Rides at Mountain View Stables set in the foothills of the Blue Mountains, 1 1/2 hours north of Toronto Ontario. 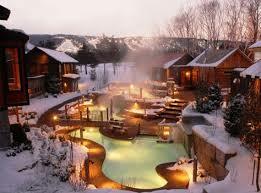 We provide a horse-ranch experience coupled with local history and sightseeing. 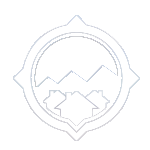 We have 183 acres of picturesque and mountain views. We cover all aspects of horsemanship and keep it safe but above all we have FUN! At Mountain View Stables we accept riders from 10 yrs of age and up for the trails. Our experienced staff will walk with or ride with children who are not fully capable of controlling their horses on their own, or who may be a bit nervous. Beginner riders are always welcome; we have quiet and dependable horses that are excellent if it's your first time. For children under 10 years of age, we have pony rides. With our experience and expertise, we can accommodate beginner, intermediate and advanced riders alike. Did you know that we have all sorts of animals at Mountain View Stables? Ducks, Geese, Chickens, Peacocks, Pig and even goats! Drop by and visit us anytime!